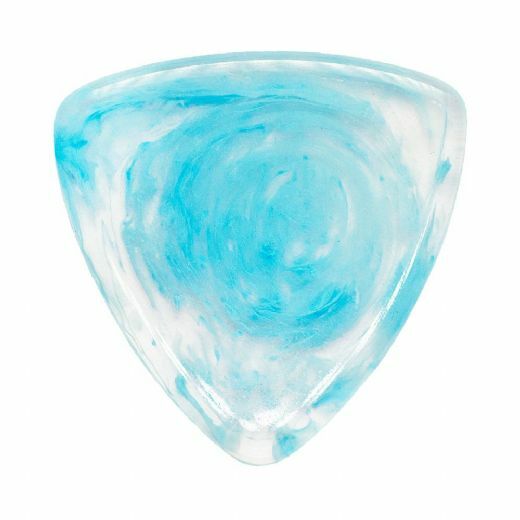 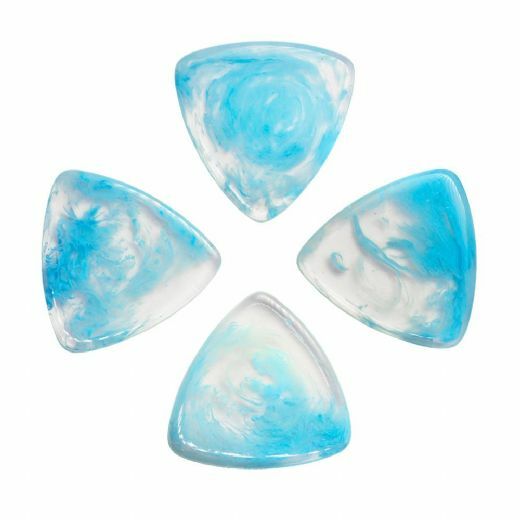 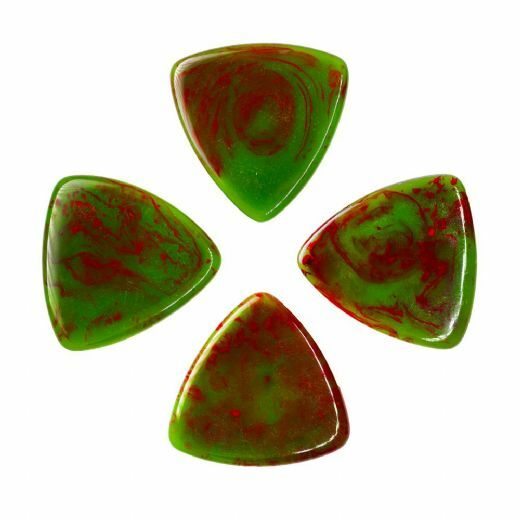 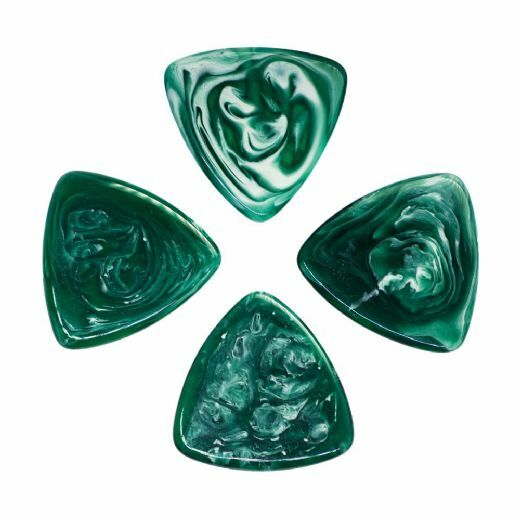 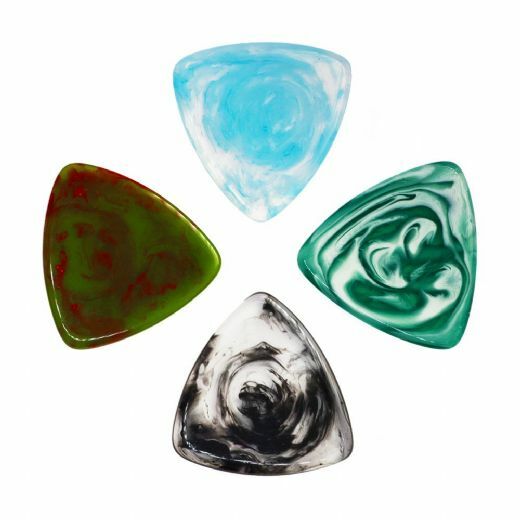 Resin Tones Gypsy are manufactured from the finest quality natural Resin to our perfect equilateral Triangle Gypsy shape. 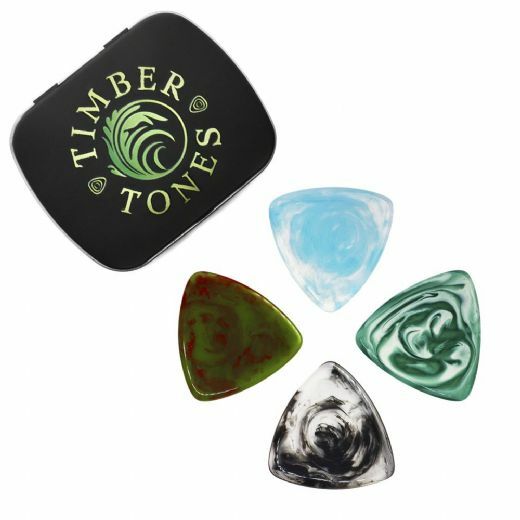 They are 2.6mm thick where you hold them tapering down to 3 playing tips. 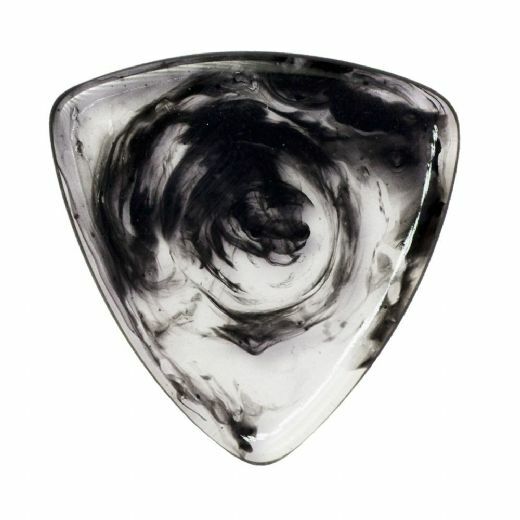 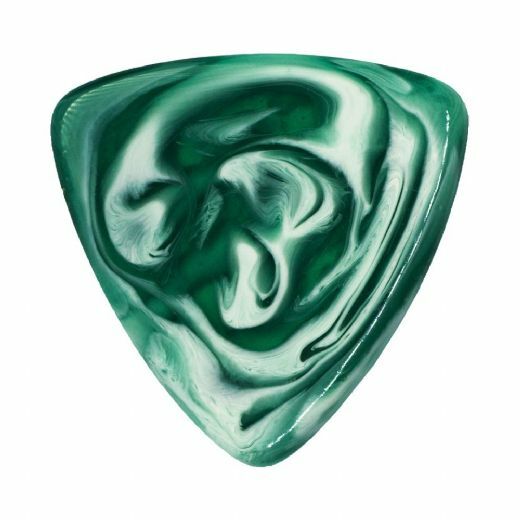 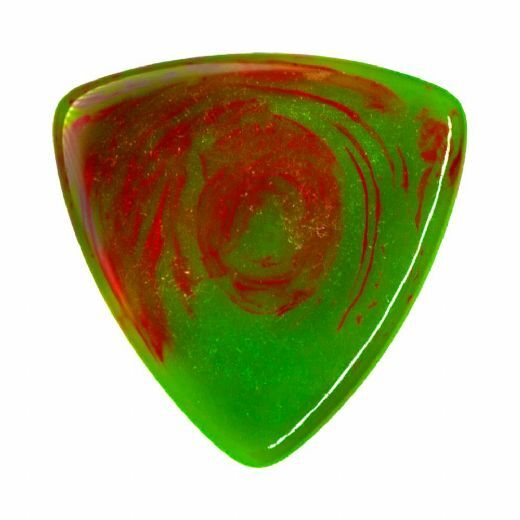 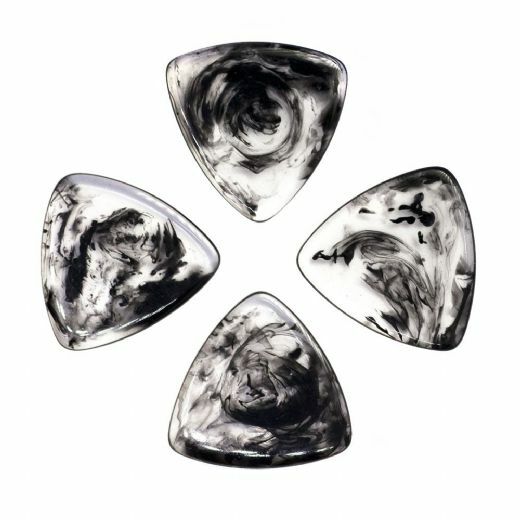 The style and colours of these resin picks were inspired by 4 of our favourite Rock songs.